TAGAB, Afghanistan, April 4, 2011 (ENS) – Farmers in an area of eastern Afghanistan that has been opium-free for years say they are growing poppies again. Residents of Tagab district accuse the government of reneging on promises to reward them if they switched to other crops. As in other parts of the country, farmers have also been tempted back into poppy cultivation because of the spiraling rising price of opium. Farmers who abandoned the crop three or four years ago, like Mohammad Ajan, say resuming opium production is the only sensible economic choice they can make. The situation in Tagab appears to bear out forecasts made by Afghanistan’s counter narcotics ministry and the United Nations Office on Drugs and Crime, UNODC, both of which predict a nationwide rise in production in 2011. Blight killed off half of last year’s poppy crop, driving prices up to their highest level since 2004 and creating an additional incentive for wavering farmers. The UNODC report said Kapisa province, where Tagab is located, was poppy-free in 2010, was expected to show a “strong increase” in cultivation this year. It said cultivation levels would still be “insignificant,” but this is a comparison with other provinces in a country that – despite last year’s reduction – remains the world’s largest producer and supplier of opium and its derivative, heroin. Since the collapse of the Taleban government in 2001, the international community has spent billions of U.S. dollars on poppy eradication and crop substitution programs. In the early years, farmers were paid cash for the destruction of their poppy fields, but the Afghan government later replaced this with pledges of seeds and fertilizers, and infrastructure projects like roads and bridges. In areas like Tagab, eradication has proved temporary, as the failure to offer viable alternatives has encouraged a return to opium poppies. 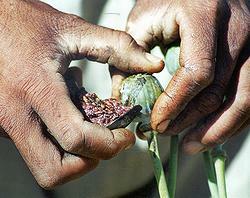 A farmer collects opium from poppy. A member of the Tagab district council, Najib Safi, said the counter-narcotics ministry had made several promises of reconstruction projects, while the Ministry of Rural Rehabilitation and Development had said it would find employment for people who abandoned opium production. None of these promises had been met, Safi said. Hadi, an official in the Kapisa provincial department for agriculture, acknowledged that promises had not been met, in particular when it came to providing irrigation systems, fertilizers and improved types of seed. Nor are there staff available to persuade farmers to change their ways. 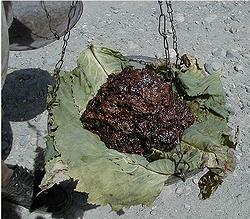 Opium is weighed at the market. Security is even more important than government assistance programs when it comes to farmers deciding whether or not to grow poppy, according to UNODC. “Villages in insecure areas had a high probability of cultivating opium,” the agency’s latest report says, with reference to 2010. In Tagab, the Taliban are in effective control of much of the countryside, local people say, despite the presence in more urban areas of Afghan government forces and a French military contingent. Finally, a leap in prices has made opium look irresistible. Samiullah, a landowner in Tagab District, said rising prices were a major factor in the resumption of cultivation. 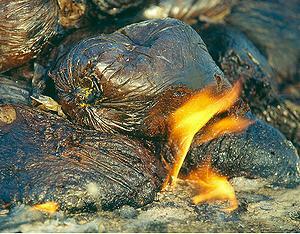 Authorities burn bags of confiscated opium. 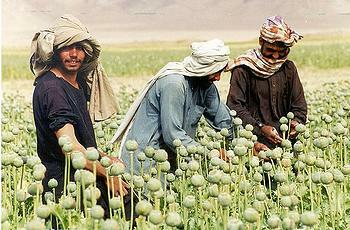 “Last year, opium was priced at US$90 per kilogram. That has increased to 380 dollars this year,” he said. The latest UNODC report cites a high of around US$240 dollars a kilogram in December 2010, a 240 percent increase on the record low of summer 2009. The official response to opium growers is likely to consist of punitive measures rather than attempts at persuasion. Abdul Alim Ayar, the head of counter narcotics for Kapisa province, promised that offenders would be prosecuted. “The [counter narcotics] ministry drafted a law three months ago according to which anyone growing poppy will be punished according to the land under cultivation,” he said. Police chief Bakhtiar said people had been repeatedly told about the ban on opium, so no compensation would be paid if the authorities identified and destroyed their crops. One of the side effects of increased production is a rise in the number of users in the local community. Across Afghanistan, health ministry spokesman Nur Oghli has said, one million out of a population estimated at 28 to 30 million are addicted to narcotics, 30 percent of them women. In Tagab, there is a widespread belief that most addicts are people who have spent time in Iran, which has a major heroin problem. Local resident Tariq attempted to make a distinction between production and excessive consumption, saying opium was a traditional crop in the olden days, and addiction only became a problem after people started going to Iran.